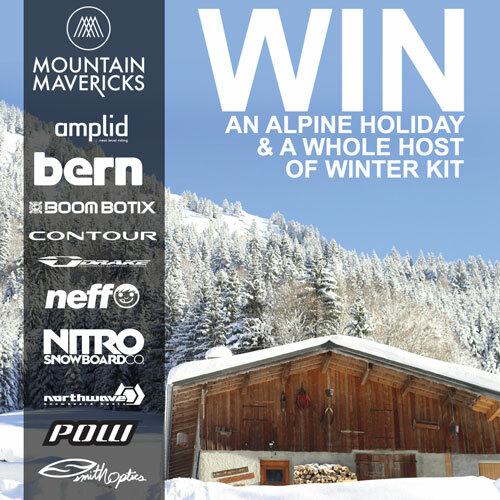 Win a Winter Holiday and a bunch of new kit!!! We are super super excited to team up with the amazing Ultrasport, the UK’s biggest specialist in action sports equipment, to offer you a crazy prize package! Aside from a weeks stay for 2 with Mountain Mavericks this April to enjoy bluebird days and spring snow you will also win a HUGE amount of goodies from brands such as Amplid, Bern, Drake, Nitro, Smith, Pow, Northwave, Neff, Contour and Boom Botix. Now that’s a prize worth going for! All you have to do to ENTER is answer a couple of questions, it’s really that simple!